When eighteen-year-old Rosie disappears without a trace half the village presumes it’s an act of teenage rebellion and she’ll be back within 48 hours, the other half, her friends and family, they know that something is very wrong. Kate hears the news of Rosie’s disappearance through her daughter and although not very close to the missing girl’s mother, she decides to check on her and make sure she is holding up as well as can be expected. Kate had known Rosie, the girl had come to see the horses at her stables and with a daughter the same age, she couldn’t help but put herself into the distraught women’s shoes. Kate soon becomes the closest thing Rosie’s mother, Joanna, has to a friend but when Rosie’s body is found in their nearby woods, cracks start to show in Rosie’s ‘perfect’ family. Was her Father really the handsome, fearless reporter he appeared? Did Joanna ever really let her guard down and who is caring for Rosie’s sister while her family falls apart? 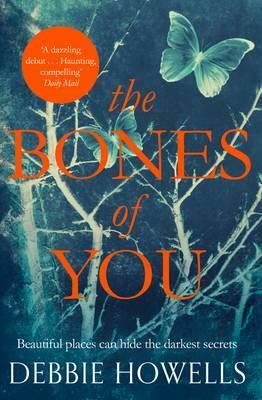 The Bones of You is a physiological thriller that I couldn’t put down. That being said, there were a couple of moments at the beginning that had me thinking ‘you wouldn’t do that,’ which distracted me slightly. Kate talks repeatedly to an old friend she hasn’t seen in years who is a journalist and seemed complacent over a potential lead that her daughter raises. Both of these things happen quite early on and once I passed them I devoured the rest of the story. You may guess who the murderer is before it is revealed but the background and the process in which it is done is more than enough to keep you impatiently turning the pages. Kate’s ‘normal’ life is a great juxtaposition to Joanna’s careful coiffured existence and you can see how they both end up loving and hating each other because of this. The impact of some of the characters bitter exchanges (I’m attempting not to spoiler anything here!) are enough to turn your stomach and make you ‘grit your teeth’ angry. The Bones of You is a great psychological page-turner and it’s easy to see why it’s been chosen for The Richard and Judy Bookclub as there’s so much to discuss in it. Hopefully there are more thrillers to come from Debbie Howells as I would love to read more of her work.